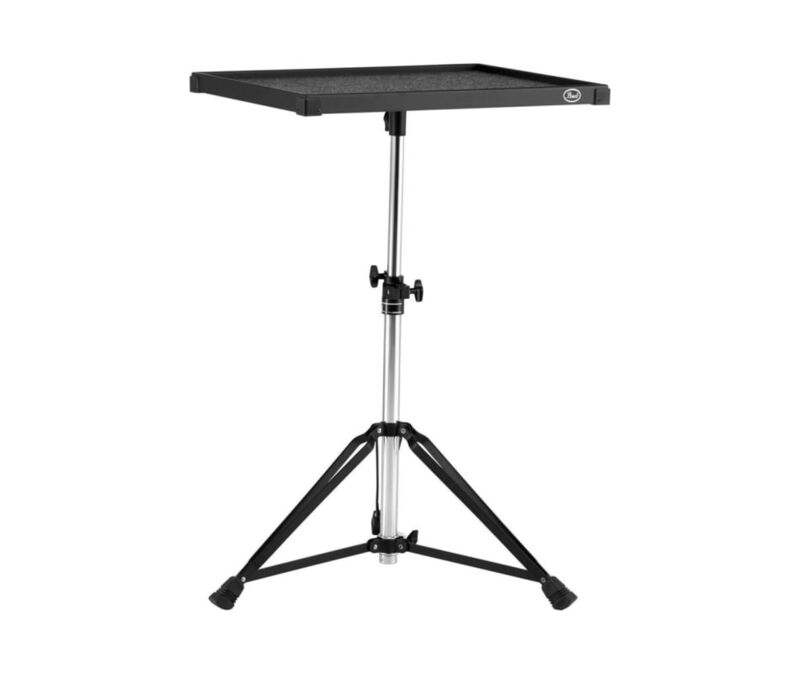 This trap table is great for band and orchestral percussionists who need a place for hand held percussion with quick and easy access. The large 22" W x 16" D top is rubber padded to ensure quiet instrument handling and a raised border keeps instruments from rolling off the edge. This sturdy, chrome-plated stand is height adjustable.